KODI, earlier known as XMBC, has gained a hell of popularity as a media player, especially for Smart TVs. The latest version of KODI, which is KODI 17 Krypton, has been released recently. The Beta version of KODI 17 was made available for the users and now, the full version has also been launched. We all know that, KODI is kind of useless, unless good add-ons are installed. 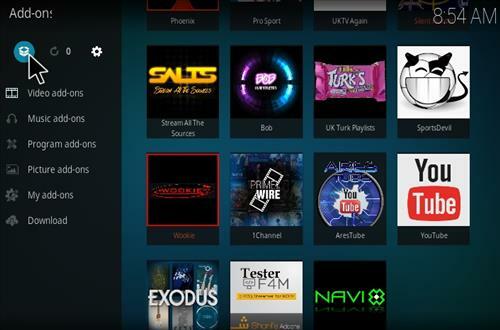 Exodus, undoubtedly, is the most popular add on for KODI. 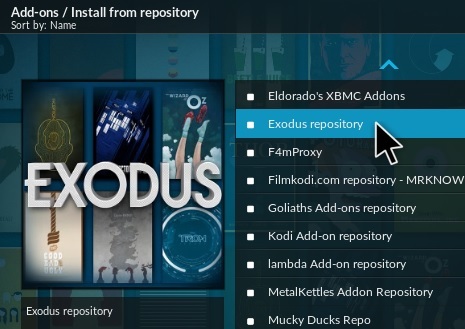 Today, we will guide you through the process to install Exodus on KODI 17 krypton. In case you’re too excited to use the latest KODI 17 version, you can download the beta version from the official website. I would be wise to install the KODI 17 on a separate device. 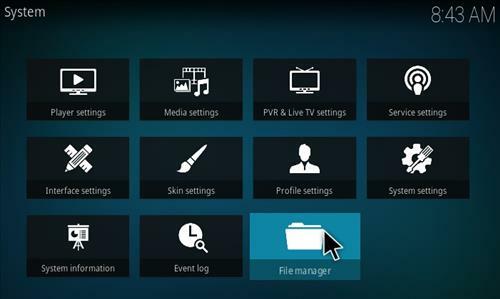 Do not uninstall the current version of KODI, as the new version is bound to have some bugs which will be fixed by the KODI team as and when they spot them. The user interface and looks surely are improved, but they can be related easily with the previous version. Check the image below to catch a glimpse of it. The default skin for the new KODI 17 is estuary. Users can change the skins as per their taste though. Also See: How To Use KODI? Moving to the business for the day, how to install Exodus on Kodi 17? 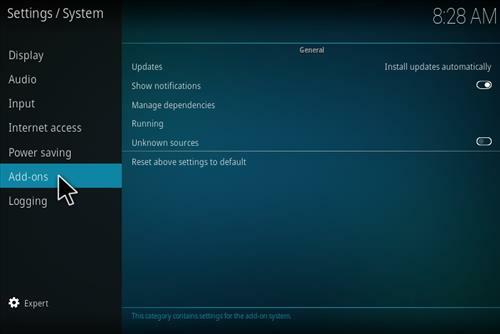 Well, if you have already used KODI before and installed dd ons, you should be familiar with the fact that one needs to activate installation from Unknown Sources. Do not fret much if you don’t get what I’m talking about. We have describe all the steps keeping the newbies in mind. 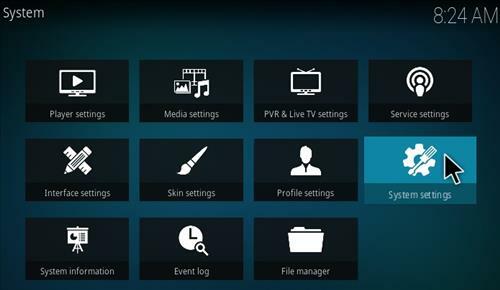 How To Setup Unknown Sources On KODI 17 Krypton? In the left sidebar, at the top you will find “Settings” icon. Under Settings, you need to select the “System Settings“. Here, in the left sidebar, at the bottom, turn on the “Expert” mode. Now, under Add Ons, switch on he “Unknown Sources“. If you get a warning, click on “Yes“. Now, we have instructed KODI to allow the installations of Add ons or repositories from unknown sources. All that is left is to install Exodus on KODI, without falling for any errors. After completing the above steps, follow the next procedure below to get Exodus on KODI 17 Krypton. How To Install Exodus On KODI 17 Krypton? Open “Settings” from the top left corner. Now, move on to “File Manager“. From the list, select “Add Source“. Click on the “<none>” text. Name the source as “Fusion” or anything you like. Make sure that the URL you entered is correct and click “ok“. Under Add ons, click on “Package Installer“. You’ll find the “Package Installer” icon on the top left corner. Then, select “Install from zip file“. Next, select “Fusion” or the name you gave to source. Under than, select “Kodi repos“. 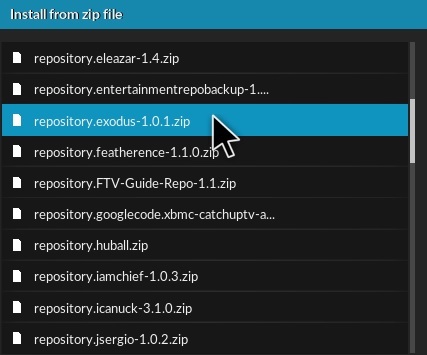 From the list, select “repository.exodus-1.0.1.zip“. The Exodus will be downloaded and installed. Once installed, you’ll see a notification. The Exodus repository has been installed. Now, go to the “Add Ons” in the main menu and again open “Package Installer”. Here, select “Install from repository“. Click on the “Exodus Repository“. Finally, select “Exodus” and install. After installation is completed, you will find Exodus in the “Video Add Ons”. That’s it. It was quite a lengthy procedure. But, Exodus is totally worth it. Lately people are getting errors while using Exodus. The most common error is, Exodus no stream available. This error can usually be solved by doing nothing. Just wait for a couple of hours and try again. More often than not, it’s the server issue, which gets fixed in some time. Exodus is a huge collection of movies, TV shows, sports and much more. It is very natural that you shall look for subtitle add ons for KODI. 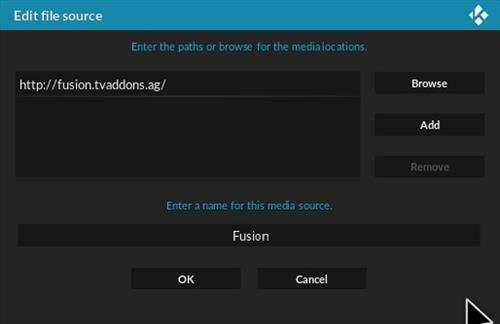 We have already listed down some of the best subtitle add ons for KODI on our blog. If you’re using Firestick, then you shall be interested in the tutorial of installing KODI on firestick. We shall take a leave now. You will find many articles on our blog regarding KODI & it’s add ons. So you might want to read them.